1/44 Scale model aircrafts kits, conversions and accessories. 3D CAD custom design. Modeller since child. Bra.Z Models adventure began with first resin sets in 1995. 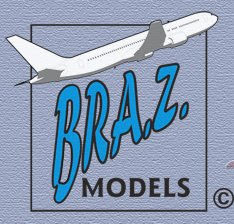 Since 2002, Bra.Z Models is a freelance company with main core business in designing plastic model kits for major plastic model kits companies. We offer a full 3D CAD model kit drawing service. Starting from original subject factory line drawings, direct measurements and/or 3D digital scans, with use of 3D CAD software, we design any plastic kit in any scale including complete final layout ready for CNC machine.